I had the good fortune of attending a conference and meeting at the historic Jekyll Island Club on Jekyll Island, a barrier island on the coast of Georgia. It is rich with history and wildlife, has a beautiful beach, and a wonderfully preserved set of historic mansions. Cool tidbit: this is the site of the first transcontinental phone call. Check out my favorite photos, all shot on Thursday, except for the first shot of the clubhouse itself. 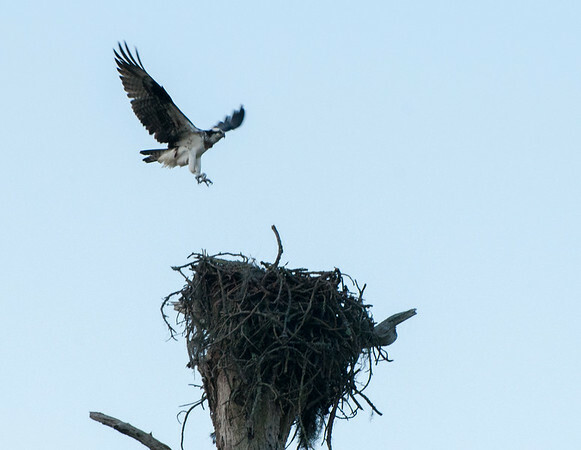 Perhaps my favorite shot is of the osprey landing on its nest, at right.